This product is a an official licensed product from GM. It has dual pinstriping in black and grey. 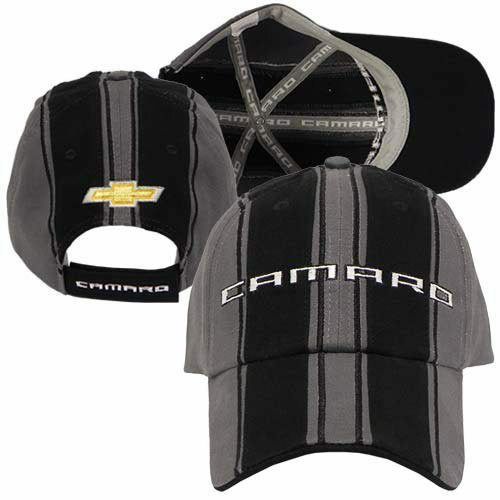 On the front Camaro is embroidered, on the back it has the chevy emblem embroidered and the word camaro embroidered on the adjustable velcro strap.